The evolution of Thrive over the years has led to an inclusive Movement Therapy Centre in the breathtaking rolling hills of Northumberland County. 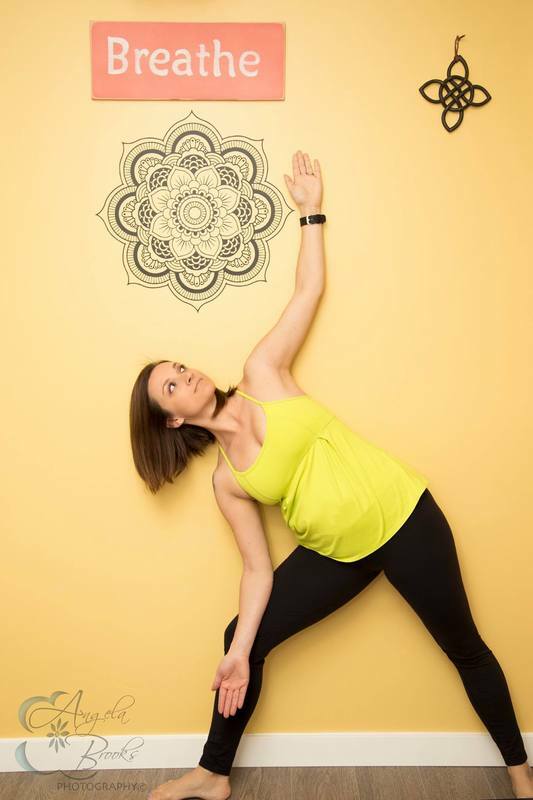 Erin is an enthusiastic and well rounded Yogini who has been studying the human body and how it moves for over 24 years and has developed a style of "movement therapy" based on her experiences and guided by learnings from experts around the globe. She began to practice Yoga in her teens as a way to heal her body from intense training and create balance. Over the years, she’s learned that what yoga really is to her, is a way to cope with the never ending stresses that challenge us in life. At Thrive, you can book a massage or private yoga session in the eco friendly clinic, register for a workshop to kick start a new movement regime, join a group for Shinrinyoku (movement therapy in the forest) or spend an hour or so practicing yoga in the gorgeous outdoor studio. Check back to the Thrive website regularly or add yourself to the mailing list to be kept up to date. Erin graduated(with Honours) from the Canadian College of Massage & Hydrotherapy in 1996 and Registered as a Massage Therapist with the College of Massage Therapists of Ontario the same year. She has additional post graduate training in Craniosacral Therapy, Myofascial Release, Sports Injury Treatment, Pre & Post-natal massage, Infant Massage & Massage for Children, Acupuncture, GuaSha and Cupping, Thermal Palms massage, Hot & Cold Stone massage, TMJ treatment, Gait Analysis and Correction, Restorative Yoga, Yoga for All Bodies, Trauma Sensitive Treatments, Postural Assessment and Treatment, Cold Laser Therapy, Massage Therapy for Whiplash and is a Certified Acuball Trainer, Level 1 Barefoot Training Specialist as well as a YTT200 Yoga Teacher. She is also an Aesthetician, Certified Master Pedicurist and Certified Podologist which certifies her to work with diabetic feet, CVI, chronic dry skin, fungal infections and many other disorders that affect the feet. Her training includes an in-depth knowledge of the anatomy and structure of the foot, diseases and disorders of the skin & nail, implications of diabetes and chronic illness, and sterilization. With a comprehensive understanding of the theory and practical techniques to perform a para-medical pedicure, she is distinguished from the standard nail technician by her leading edge advanced level of expertise. She completed a Bachelor of Science in Podology in January 2012 and is continually upgrading for the latest training in product and technology. Her love of movement and the human body drives a passion to continue studying and learning.